Ferrari, 70, who is vice chairman of the company, said he has no plan to sell his 10 percent holding. John Elkann, chairman of Fiat Chrysler Automobiles NV and head of the Agnelli family, said he expects to remain Ferrari’s biggest shareholder. 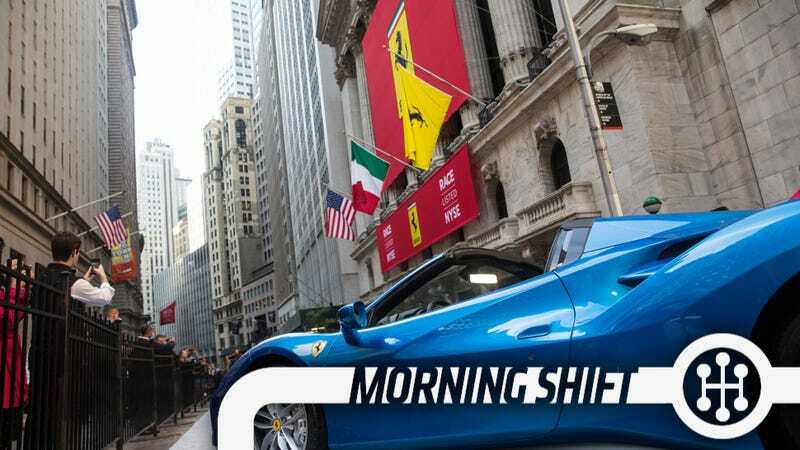 Exor SpA, the Agnelli’s holding company, will own about 23 percent of Ferrari after Fiat Chrysler spins off its 80 percent stake, probably in January. Much of that “very strong understanding” boils down to a voting rights plan, which gives special voting powers to those who promise to hold their shares longer than three years. So far, only Piero and the Elkanns meet that criteria, giving them 48.7 percent of the voting rights. That should be more than enough to fend off any takeover bids. U.S. regulators have said they are also investigating Volkswagen’s “generation 3” vehicles in the United States, which contained newer EA 288 diesel engine. But it has not been clear whether these engines were being examined elsewhere. “Other generations of the EA 288 are currently being examined,” Volkswagen said in an e-mailed statement on Thursday, after German news agency DPA reported that additional engines types may be involved in the emissions scandal. The EA288 lies underneath diesel examples of much of the Golf family, including the Jetta and Beetle. With most large locals and about half of all locals reporting, none had yet turned down the agreement. Most had voted to ratify by at least 60 percent to 40 percent, according to figures posted on local union web sites. At Local 685 in Kokomo, Ind., the largest FCA local, nearly 90 percent of production workers approved the pact. While that might seem boring to the average, casual car enthusiast, it’s actually important. Happy workers not only mean solidly built cars, but they also mean stability for companies. And when the boat isn’t being rocked, automakers feel free to experiment. And when automakers experiment and push the boundaries, we all win. 4th Gear: Is Anyone Else Getting A Little Worried About China? Honda is postponing adding more production capacity in China despite boosting sales by 34 percent in the first nine months of this year. Industry deliveries of passenger vehicles had expanded at the slowest pace in three years in the first three quarters, weighed down by moderating economic growth, stock-market volatility and caps on registrations. Despite big sales, postponing a factory like this isn’t exactly a vote of confidence in the market. China’s economy, while still officially growing at what would be considered a gangbusters pace anywhere else, is showing signs of a slowdown. It’s hard to tell, as Chinese government figures aren’t considered exactly reliable, but it sounds like companies are getting a little nervous. But while the Chinese market slows, the American one is looking up. Accordingly, GM is hiring over 1,000 workers at its Hamtramck plant. Much of that is due to anticipated sales of the Cadillac CT6, along with a redesigned Chevrolet Volt. That’s a big bet to make for GM, but who doesn’t like relentless optimism? Reverse: Who Doesn’t Like Pretty Highways? Neutral: Know anyone that bought Ferrari stock yet? Or are you planning to?